Wow! That sums up fishing on the Mighty MO. This is one of the best rivers in the state for big and I mean big trout. One can fish this river year round and do very well. It is a tail water that flows out of Holter Lake, just upstream from Wolf Creek, Montana, passes through Great Falls, Montana, and just keeps flowing. It is about a two hour drive from Missoula, Montana. The fish are feeding all the time on this river. The hardest thing is to get the huge trout in the net without it slipping away. The fish are very crafty on this river because they are fished by many anglers from all over the world. This does not mean you will not get any action. I will not lie to you, we will see a lot of anglers, but it is well worth it! This river holds 8000 fish per mile. Now that’s a lot of trout. The range of size is from 16 to 24 inches. The reality of landing a huge trophy brown trout is well within reach by any angler. If you like making that sixty foot cast to a rising trophy trout with a size 18 dry then this is the place for you. Pretty much any type of fly fishing goes on the Missouri. Streamers are very effective for very large brown trout. 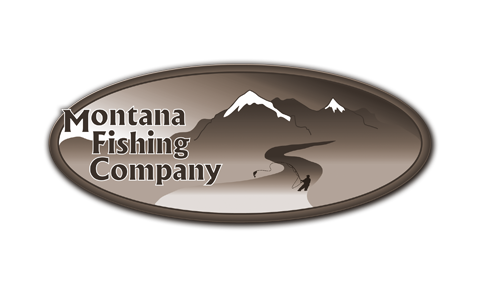 Ask about Montana Fishing Company’s week long trips on the Missouri River. Ready for some Missouri River fly fishing yet? Contact us today or call 406-210-0971!